1.) 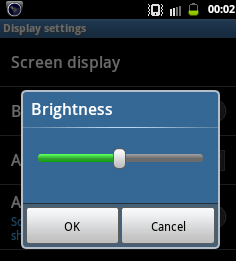 Reduce the brightness of mobile display as, display consumes most of the battery power. 2.) Turn off wireless, Bluetooth and GPS sensor, whenever not needed. 3.) Turn off internet data packet, as it uses lots of power and enable it whenever needed. 4.) You can set screen timeout. So set it to lowest time limit. 5.) Close all application properly after using it, don’t leave it running without any use. 6.) Turn off the phone vibration function. 7.) Use mostly 2G network. 8.) Do switch off your phone when don’t require its use. 9.) You can make your mobile in offline mode, when want to use only Mobile application and not telecommunication services. I hope that this points to Improve battery life of Samsung galaxy y, would increase your life time of battery. IF you have battery drain and heat up problem, your SD card may be responsible. Use mobile without SD for 2 or 3 days. 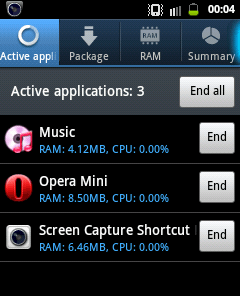 To improve battery life u can download and install following file in your phone via recovery mode. Thanks Rushabh, for the valuable comment and suggestion.